lahznimmo architects and wilson architects were engaged by Macquarie University to expand and refurbish the 500 seat Macquarie University W5B Lecture Theatre. As the premier lecture theatre on campus the works include a complete refurbishment of the building interiors and existing lecture theatre fitout in addition to upgrading of services, acoustics, access, and building code compliance issues. 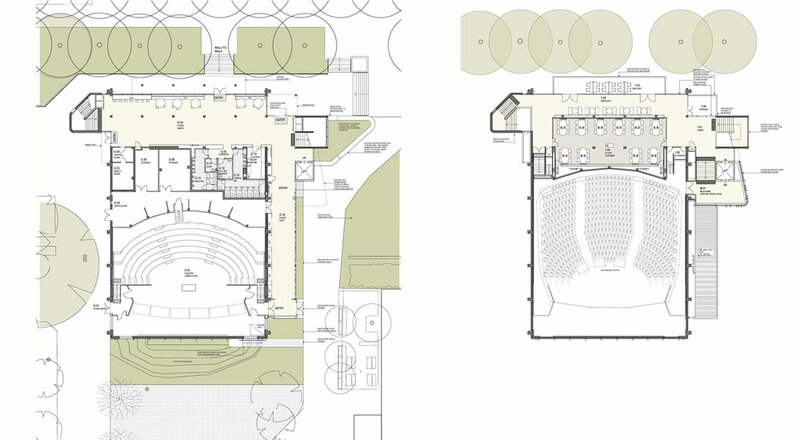 The brief involved updating the Theatre to current teaching pedagogies with the additional inclusion of a technology enabled collaborative learning space for sixty students. The expansion and new building envelop create a new dual building address facing both the main University pedestrian spine Wally’s Walk as well as the eastern side forecourt.